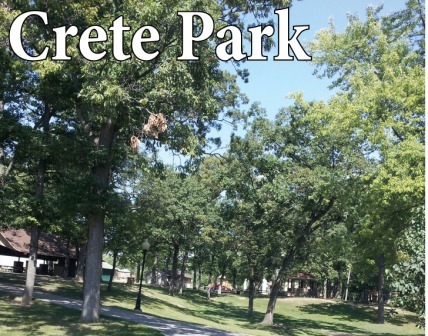 Crete Park, 515 First Street in Crete is the oldest park in the District and is 6.65 Acres. It has 2 playgrounds, 2 picnic shelters, a tennis court and is home to the Willard Wood Park Center. It is also home to the 1913 Bandstand. The shelters and bandstands are home to weddings, family reunions and birthday parties throughout the summer months. For information on rentals, please click on Rental Information on the left. Heritage Park is our sports complex located at 1550 Sangamon Street in Crete. It is home to 2 playgrounds, 2 picnic shelters, 4 softball fields, Tball fields, soccer fields and our concession stand. 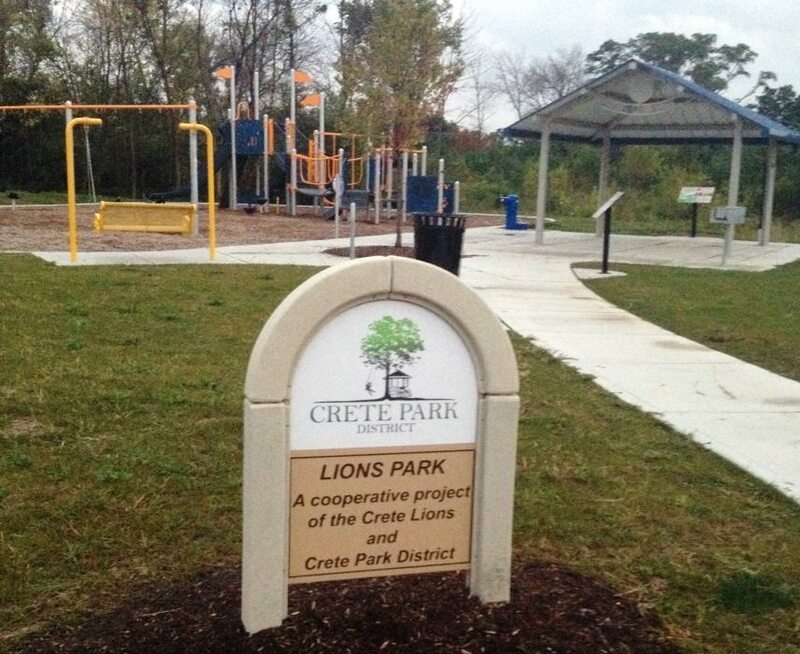 Crete Park District also owns and operates several small neighborhood parks including Martin Park on First Street, Lions Park (Under Construction), Garrett Park on Denell Drive, Gordon Park on Michael Avenue, and Lincolnshire Park on Huntley Terrace. Swiss Valley Park is 16.27 acre park with a playground, a tennis court and a ball field. 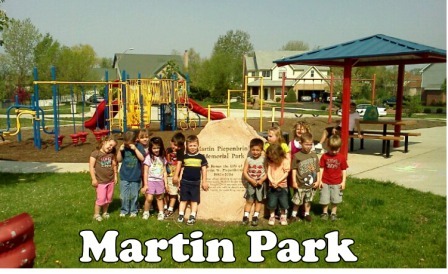 Martin Park is located at the west end of First Street, where First Street dead ends into Williamsburg Subdivision. 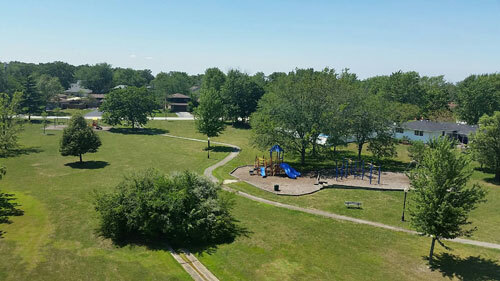 Swiss Valley Park is located on Haweswood Drive, just south of Steger Road and has a tennis court, baseball field, and a playground. When baseball games aren't being played, there is plenty of room the practice soccer in the back! Lincolnshire Park is a 2.75 acre park located between Huntley Terrace and Donovan Drive. Garret Park is a small tot lot located on Denell Drive and Gordan Park is a small tot lot located on Michael Avenue. Lion's Park is located on the corner of Bradford Place and Berkshire in the Deer Meadows Subdivision. This park is 1/2 block west of the north end of our bike trail and a great place to rest after you've taken a ride! Peter Halligan Park is located just south of Steger Road on Nicolette Drive. This is our first Nature Park and is currently being developed! Recognizing that open space in our communities is a crucial element of the quality of our lives, ComEd has partnered with Openlands to award to plan for, protect, and improve open land. The Crete Park District applied for the program and in June was awarded a grant to support the Peter Halligan Nature Park. The Nature Park will be located on Nicolette Drive in Crete will soon see the 6.5-acre park developed with a butterfly habitat, wild bird habitat, a reflection path, benches, signage and an overlook of the cat tail marsh area. A 1995 grant from Illinois Department of Natural Resource helped to complete the initial phase of the abandoned railroad right of way, which runs from Richton Road south past the Deer Creek Bridge. The second phase connected the first part of the trail to Douglas Lane. In 2005, another grant from the Illinois Department of Natural Resource allowed the Crete Park District to add on to the North of Richton Road, making the complete trail approximately 1 1/2 miles one way. The trail now ends on Brandford Place. 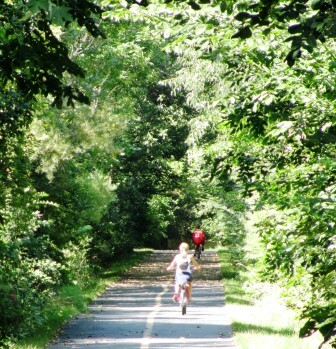 The Crete Park Bike Trail is a very scenic natural railway which displays over 60 natural wildflowers. Limited parking is available at the north end of Douglas Drive and on Bradford Place.